Over the summer I had the pleasure of illustrating The Gingerbread Train (coming soon! 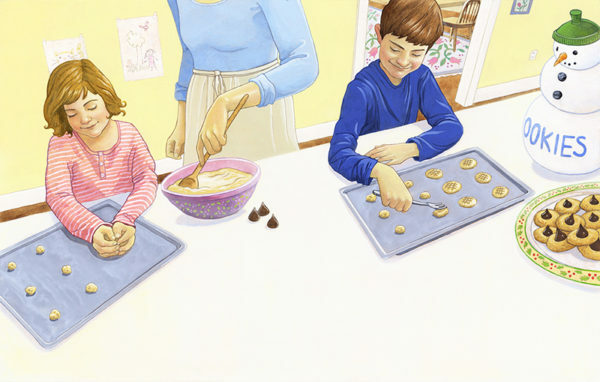 ), a holiday-themed picture book written by Ann Tarpley Francesco. While it was blazing hot outside, I was indoors keeping cool by painting snowy scenes. It is often the case in publishing that we are creating illustrations at least one or two seasons away from the release date, so it takes some extra imagination to do winter scenes in summer, and vice versa.